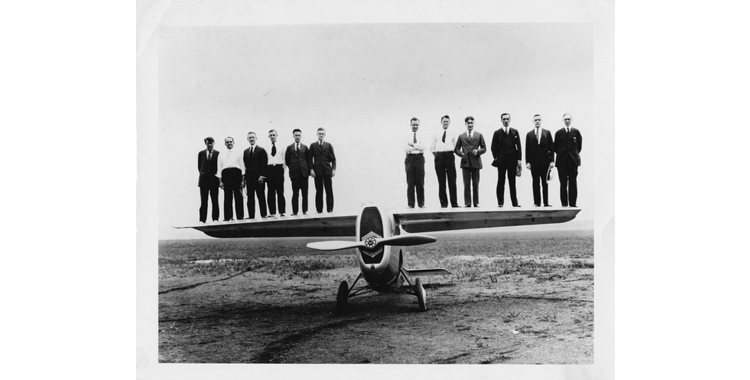 Employees of the Dayton-Wright Airplane Company stand on the wings of the Dayton-Wright RB-1. Courtesy of Special Collections & Archives, Wright State University. Writing in the wake of the infamous Easter Day flood of the Great Miami River of 1913, the Boston Evening Transcript called Dayton the “City of a Thousand Factories.” Among the most famous manufacturers were the railway builders Barney & Smith Car Company, the internationally renowned National Cash Register (NCR), and a host of automobile component manufacturers. While natural disasters like the flood and corporate takeovers have adversely affected the operations of the city’s remarkable industrial heritage, significant elements of that history remain for touring within the city and to the north along the I-75 corridor. 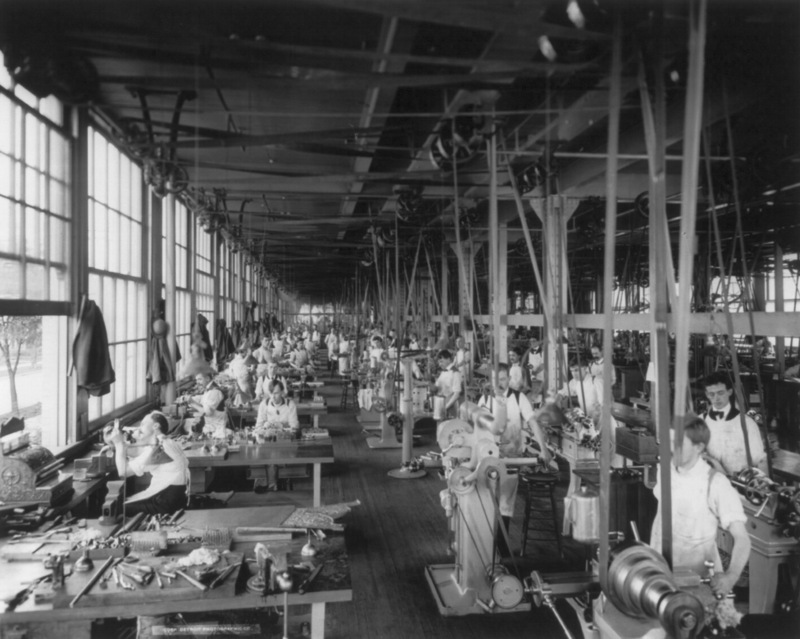 Of particular importance for this year’s Society for Industrial Archeology Fall Tour are historic elements relating to Dayton as the home of the aviation industry through its connection with the Wright brothers. 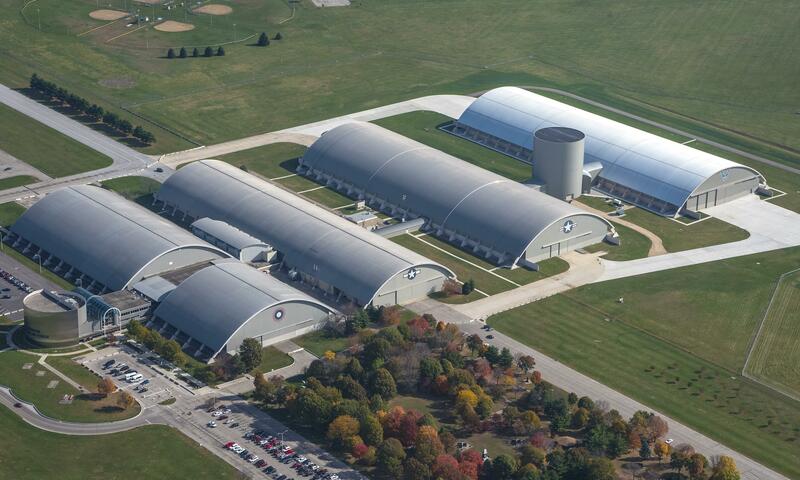 Today Dayton is best known as the home to the National Museum of the US Air Force, and multiple opportunities to visit it are being planned for conference registrants. Please note the tour bus will proceed directly from the Air Force Museum to the Staley Mill Farm without stopping at the tour hotel. Please note this schedule has been updated since it was printed in the Fall Tour brochures that were mailed to SIA members. Tour schedules are subject to change. Aerial view of the Museum of the United States Air Force. 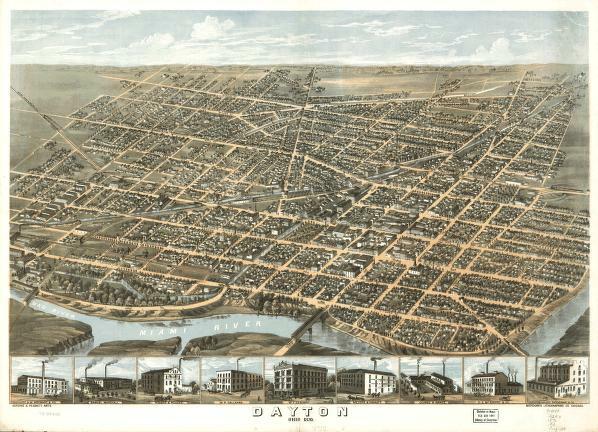 Birds-eye view of Dayton, Ohio, ca. 1870. Note industrial facilities depicted along the bottom of the drawing. Image source: Library of Congress. The tool department at National Cash Register, ca. 1902. Image source: Library of Congress. 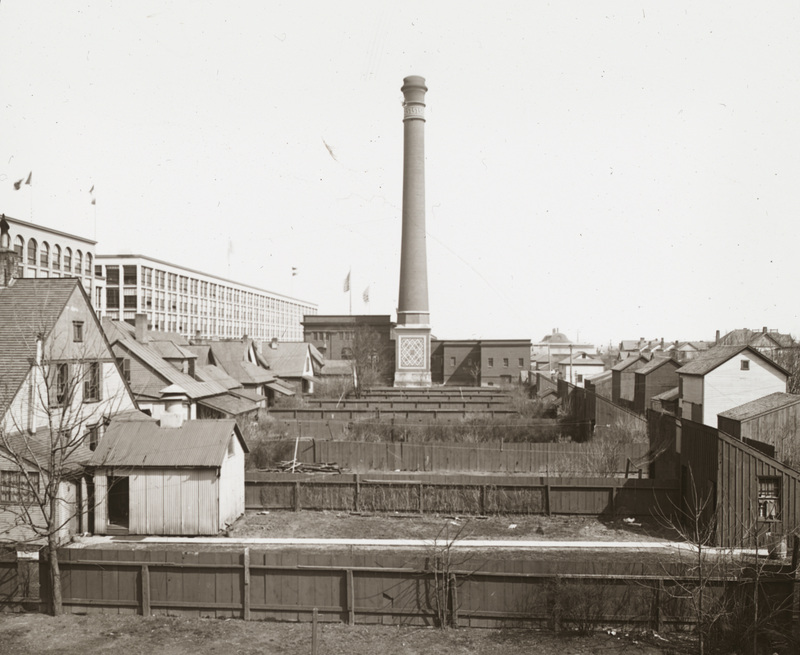 Worker housing for National Cash Register, 1896. Image source: Library of Congress. Top photo: Side view of Wilbur Wright gliding in level flight at Kitty Hawk, North Carolina. Image Source: Library of Congress.